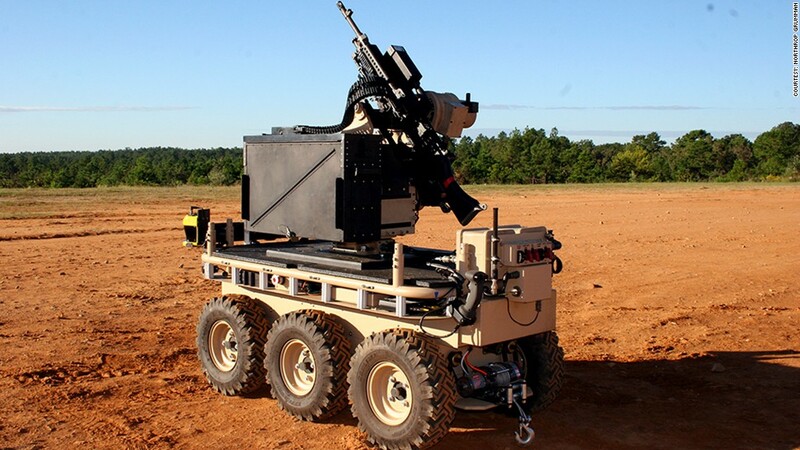 Northrop Grumman's (NOC) Mobile Armed Dismount Support System is designed to be a soldier's best friend: It can carry their heavy equipment and if it starts raining bullets, soldiers can hide behind a rock and send Madss out to shoot back. Madss is a 1,400-pound remote controlled beast of a robot. But it's surprisingly efficient: Its hybrid engine (diesel and battery) can run for 20 hours on just over three gallons of fuel. At only 32-inches wide, it can squeeze into narrow alleys. It's a robot without an owner, though. The U.S. Army is still deciding on whether to use it.